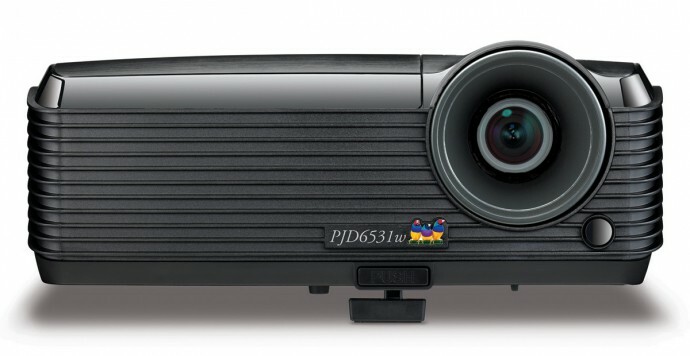 ViewSonic PJD6531w supports all HDTV formats, including 720p and 1080i/p, offers extensive input options including HDMI 1.3 connector with HDCP support, and integrated 10W speakers, although you’ll probably have to stick to the analogue DSUB15 video connector for usage at 120Hz. The life of the projector lamp is rated at 4000 hours in normal mode, but if you switch to the built-in Eco Mode you’ll get up to a 6000-hour lamp life and reduced noise (29 dB in Eco compared to 34 dB in normal mode). The projector is currently available with a recommended end user price of $799 USD. 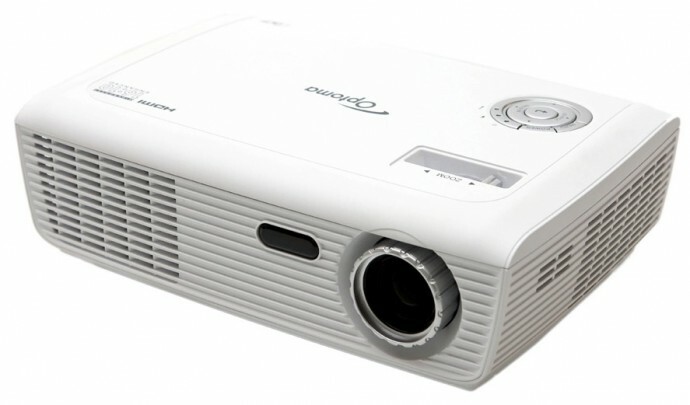 It seems that Acer won’t be the only company offering an affordable 720p projector with 3D support, as Optoma has just announced their own 720p 3D Ready home theater projector. Optoma HD66 offers a wide aspect 16:9 ratio and native resolution of 1280×720 pixels, the maximum brightness is 2500 ANSI lumens and the maximum contrast ratio is 4000:1. The new projector weights just about 2,3 kilograms (5 pounds). The projector can be used for either front or rear projection, it can be ceiling or tabletop mounted and will project images from 23″ to 300″ diagonal. There is a built-in two-watt speaker for audio playback, but you’d probably prefer to use something with better sound quality and power when playing games or watching movies. While we are still waiting for Acer’s first 120Hz LCD gaming display (beginning next year if there is not additional delay), the company is going to make us happy with making available the first affordable wide format 1280×720 (720p) native resolution projector with support for 3D Vision and DLP 3D. 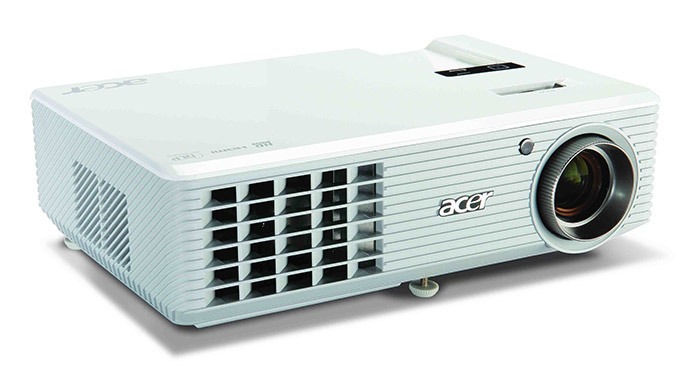 The projector was one of the recently announced three new Stereo 3D compatible models from Acer that got officially certified by Nvidia. The projector started appearing on some markets already and is expected to be widely available in December… and at a good price point. What is making this model interesting for people wanting to watch movies and play games in stereoscopic 3D is the fact that H5360 is with 720p native resolution… finally a wide aspect projector with 3D capabilities. There is also an HDMI connector present with the projector also accepting 1080p signal, but of course downscaling it to 720p, although I’m not yet sure if the HDMI will be able to accept 120Hz signal from the PC in order to be used in S3D mode. So far the other 3D-compatible DLP projectors have used the analog D-sub connector for sending the 120Hz video signal to the projector, but this needs to be verified.